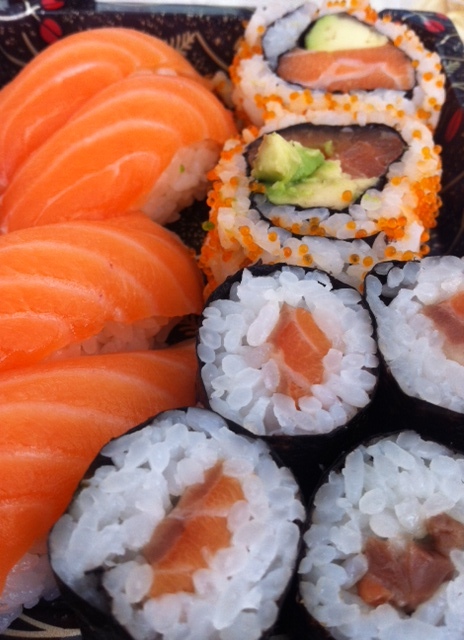 I’m a sushi lover, a connoisseur of all things raw fish. I love the art behind the food, the attention to detail that doesn’t come with many other cuisines and the beauty of the presentation. It is the food that makes your eyes open wide and truly appreciate the chef’s work. Tobiko is an absolute gem. 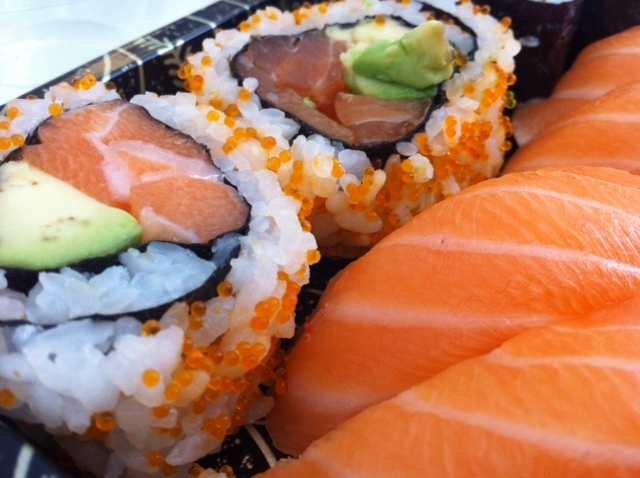 A take-away sushi place in between Covent Garden and Leicester Square. It’s near all the out dated Spaghetti Houses and Pasta Browns that adorn the central London streets and it stands out as a beacon of hope for fish lovers! There are a handful of tables outside, under the canopy giving it such a friendly feel. Pop inside and the chef never fails to give me a beaming smile and greeting, before getting back to preparing the sushi. You can pick and choose to make up your own box, or choose from one of the ready-made selections. 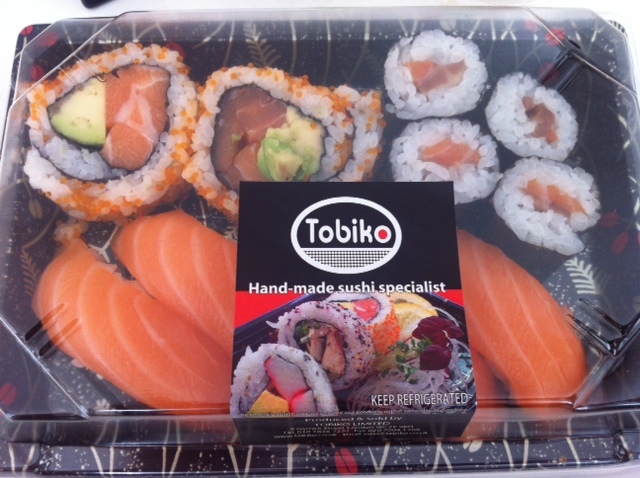 I always go for the Salmon Box, priced at £6.50 (4 salmon nigiri, 2 salmon and avocado rolls and 4 salmon rolls). Occasionally I’ll opt for some Miso or Edamame too, which are also great. but my heart lies with the Salmon Box. Spend £8 or over and they give you £1 off your next visit! The fish is SO fresh and the taste of it just melts in your mouth, the avocado is always soft and ripe and I can honestly say it is the best fish used in sushi in London that I’ve had. Unbelievably delicious. It is so finely prepared, the best cuts of the fish used, and honestly, there’s nowhere better. DEELISH!